Why do I trade with the broker? At the present time, I have a gold account with trade.com, considering that I have more than $10,000. I’ve been trading with the broker for three years and as like many others, I’ve started with a basic account, in order to learn more about the broker. I like that trade.com is offering a wide variety of assets to its clients. Even though I’m only trading forex, a few major indices, and commodities rarely, cryptocurrencies, CFDs based on stocks, ETFs, and bonds, are part of the offer. After trading for a few years with trade.com, I’ve got used to trade using its proprietary Web Platform. That’s because I have access to all 2100+ instruments, and because I can make a lot of changes to my account directly from the platform: deposit, withdrawal, change of settings, etc. 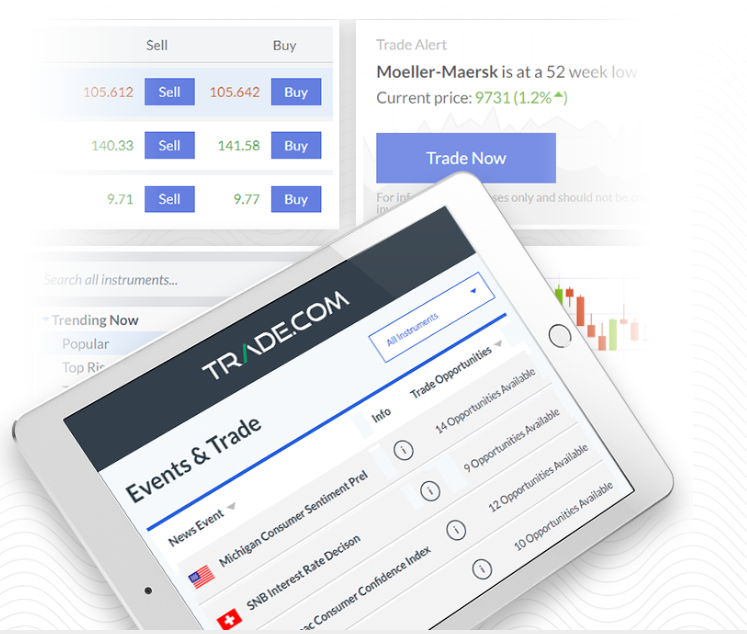 Although I’ve spent the last few years trading CFDs, I’m more tempted right now to jump into the MT5 offer of trade.com, which allows me to trade live stocks and ETFs on some of the most popular exchanges. I’ll be able to use a relatively-new trading platform, and also become the beneficial owner of the assets I will buy, being eligible to even participate in dividend payments. Considering that I’m an experienced trader, I was able to join the Elective Professional program. As you may already know, the EU had changed the law for CFD trading and now only experienced traders can have access to a few trading conditions. I’m glad trade.com managed to implement the program and allow traders like myself to be able to increase leverage and benefit from other useful features that are not allowed to retail traders. I cannot say trade.com is really the best trader in the world. Of course, there are other companies with way more experience in the market. Still, considering that I managed to stick with trade.com for three years, that means the broker is able to offer all that it’s needed to trade the market effectively.